As I mentioned in my first post, Hayek has had a large influence on the way I think about economics. 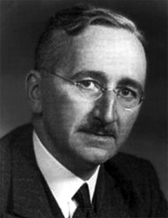 But despite being one of the most cited authors of all time and winning the 1974 Nobel prize, the bulk of Hayek’s ideas have either been ignored or mischaracterized by modern economic research (see Pete Boettke’s paper on how Hayek is used by modern economics). Looking at the methodology of modern economics (especially macro – more on this in future posts), I doubt there is much of anything that would have appealed to Hayek. Obviously, I think Hayek’s economics deserve a larger role in the theories of modern economists. So what is Hayekian economics? I have broken it into four pieces. If you are not familiar with formal economics, some of the comparisons I make might be a bit confusing, but I hope it is interesting regardless. Most economics papers begin by doing precisely what Hayek warned against in the quote above. They define a set of preferences for consumers and a production function for firms. They then assume that consumers maximize utility and firms maximize profits and solve for an equilibrium. From Hayek’s perspective, starting from this point assumes away the most interesting questions of economics. The economic problem cannot be solved by taking derivatives of known maximization problems. Instead, it is a question of how resources can be allocated efficiently when this information is not known. It is about the process of discovery, of individuals competing and cooperating attempting to find better ways to achieve their own ends. Hayek’s answer to the economic problem he proposed above and the mechanism that allows a decentralized economy to allocate resources is the price system. It is important to note here that Hayek’s prices are not equilibrium prices. They are not set to ensure that all markets clear or that there are no profit opportunities remaining. He is far more interested in the process by which an economy moves toward its equilibrium than he is in the equilibrium itself. Prices, then, are simply guides, providing the information that incentivizes individuals to make decisions that result in goods being allocated efficiently, even though it wasn’t anybody’s direct intention to do so. When a resource becomes relatively scarce, entrepreneurs recognize a profit opportunity, raise the price, and ensure that only those who will make the best use of the resource actually receive it. Through the price system, knowledge that is known only to a few individuals can be communicated indirectly throughout an economy. In the end, the actions of individuals acting on their preferences and knowledge create a “spontaneous order,” an organization of society that is the “result of human action, but not of human design” (a quote used by Hayek, but which was originally written by Adam Ferguson in 1767). In other words, even without top down planning, there is an order to society that arises naturally. This idea applies not only to a market economy and the price system, but also to political systems, the rule of law, and more informal orders like societal norms and customs. The institutions that society develops are continuously evolving as people explore new ways to accomplish their goals. These institutions provide the basis for the market system, providing incentives for entrepreneurs to develop new products and methods of production as well as accurately set prices. They are essential to tie together the three pieces explained above. While this brief post can only give a taste of Hayek’s work (look here for some videos and a free ebook that go into more detail), I think it highlights the main differences between his approach and that of mainstream economic theory. Disequilibrium, fundamental uncertainty, and the discovery process of entrepreneurs are all essential pieces of Hayek’s analysis that are challenging to model using the most commonly used methods of modern economic analysis. But rather than throw these concepts aside because they do not conform to these methods, I believe the right path forward is to change the methods themselves.